Level-5 and Bandai Namco's series Ni no Kuni has captured the hearts of JRPG fans worldwide for a number of reasons, but one of the standout appeals of the franchise is the lovely art style that Studio Ghibli assisted in creating with Wrath of the White Witch, and persisted into 2018's Revenant Kingdom. For that reason fans of the series might be interested to hear that Warner Bros. has revealed via a press event that they're releasing a Ni no Kuni anime film in Japan this year, as reported in English by Siliconera. Yoshiyuki Momose will be providing character designs, while Joe Hisaishi handles the music (having worked on many Ghibli projects in the past) and Level-5's CEO Akihiro Hino acts as executive producer and writer, after helping write all of the games as well. As for the plot, this won't focus on a story we've seen before but will instead see actor Kento Yamazaki bring to life a new hero called Yu, who as we saw with Oliver in Wrath of the White Witch will travel in between the Ni no Kuni world and the real world along with his buddy Kotona. Studio Ghibli won't be handling the animation, however, as this is being taken by OLM, who has worked on projects like Pokémon in the past. 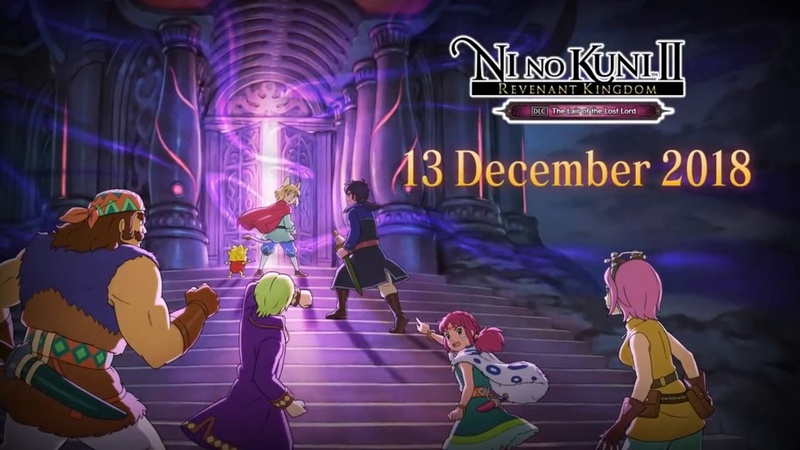 Despite releasing almost a year ago, Ni no Kuni II: Revenant Kingdom's journey has just been bolstered with the arrival of the Lair of the Lost Lord DLC in December, so that should keep you entertained until the film releases in Japan this year. We just hope we'll get a western release too, since we particularly enjoyed the most recent game, as you can read in our review. Do you have high hopes for this film?